Listen, I’ll be honest with you, I am terrible at coming up with names for my recipes. I just call them as I see them. 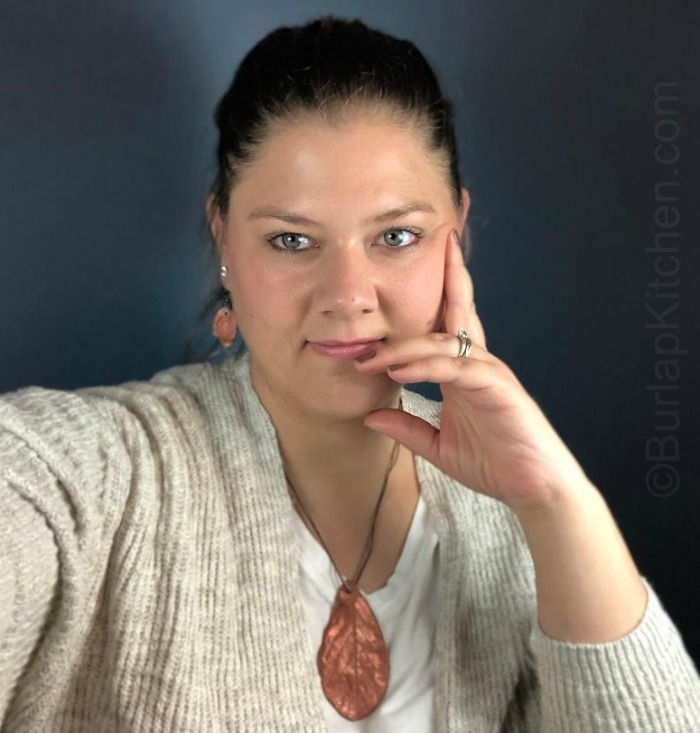 When I started this blog all I knew was that I could cook, I didn’t realize that there were so many different elements to blogging. Along with cooking I also had to learn photography & improve my semi non existing writing skills. So bare with me as I learn. I am currently reading a book by Anne Lamott called Bird By Bird. I will warn you there is some foul language in the book. I am not finished with the book yet but basically she is showing me how to break down my writing into one category at a time and quit the other voice’s in my head so I can deal with one voice at a time. In one particular part of the book she asks you to close your eyes and imagine all those voice in your head are mice. She then says to to put each mouse (voice) in a separate jar so you can sort through the voices one by one. I know that sounds confusing but it actually does help, a lot! Ok, that’s enough about my writing skills. 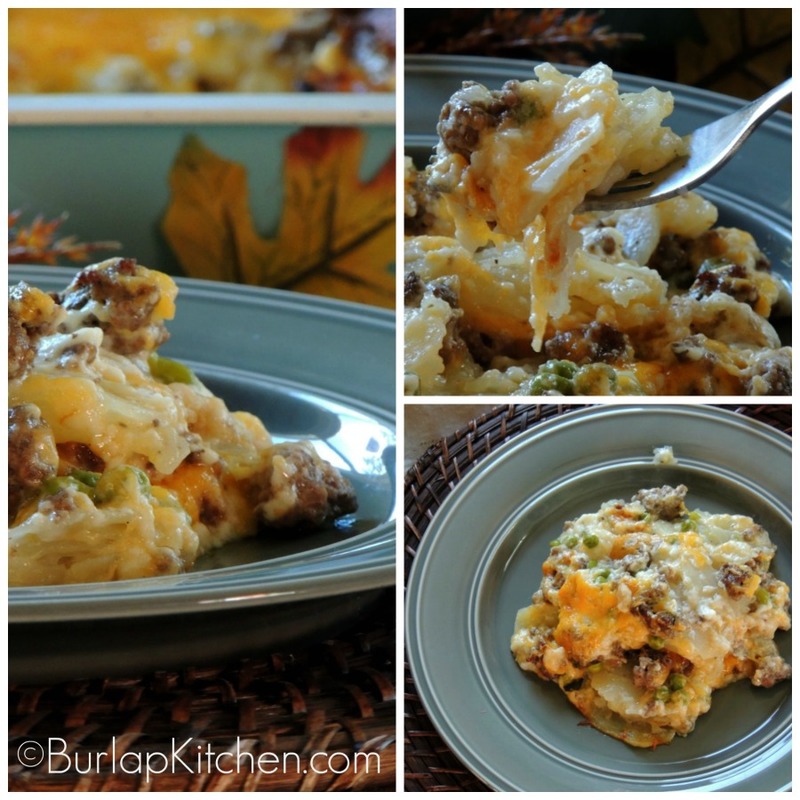 Lets talk about this Scalloped Potatoes & Hamburg Bake! So this recipe basically came to be out of pure laziness. My husband said he wanted a meatloaf and every time I think meatloaf I think scalloped potatoes as a side. In my mind they go together like Peanut butter and Jelly, like coffee and mornings, like me and burlap. You get it. I had everything ready to go, the potatoes laid out, hamburg thawed, oven preheated. But then I got lazy, really lazy. I thought, forget it. I wasn’t in the mood to make all that but now I was now craving scalloped potatoes and my husband still wanted something with ground beef. So I thought to myself, I know, I’ll just throw the ground beef in with the potatoes. Perfect, right? wrong. To feel good about myself as both a wife and a mother I knew I had to add a veggie. I thought about making a veggie on the side but that would mean another dirty dish and I just wasn’t having it. I found a bag of peas in the freezer tossed them in and called it a day. Toss sliced potatoes into a greased 13X9 cake pan. Melt 3 Tablespoons of butter and pour over potatoes along with salt and pepper. Use hands to toss potatoes in butter, salt & pepper and spread them evenly on the bottom of the pan. Add ground beef, peas and all of the cheese saving a handful or two for the top. Set aside. In a medium sized sauce pan melt two tablespoons of butter, once the butter has melted add 3 tablespoons of flour mix until it forms a paste. Next add 3 Cups of milk whisking until the butter flour mixture dissolves into the milk. Season milk mixture with salt, pepper, and garlic powder. Bring to a boil and turn off heat, mixture will have thickened. Pour the entire mixture over the potatoes. Cover with foil and bake at 375 degrees for one hour or until potatoes are soft. Take foil off add remaining cheese and bake for 10 minutes or until cheese is melted and slightly brown.